To make sense of Catalonia’s adopted freedom fighter status, it might help to consider a broader context. Catalonia’s attempt at secession is not unique. Numerous regions across Europe have clamored for independence, and it is worth considering these cases in light of the recent events in Catalonia. Wales, one of such regions, offers a counterexample to Catalonia. Like Catalonia, Wales has long had an independent national identity. It retained its unique culture and language even after it was fully conquered by England in 1283. At this point, while the Welsh nobles adopted the English language, the common people continued to speak Welsh. Yet, England long neglected to acknowledge Wales as a region independent from England as it did Ireland and Scotland. Welsh nationalism persisted throughout the region’s history but had a resurgence in the nineteenth century. Industrialization in the steel and coal industries brought economic growth and revitalized numerous Welsh towns. These new local industries lessened Wales’ reliance on England. With more economic independence, Wales also sought to differentiate itself from England in other ways: the same period saw a mass exodus of Welsh from the Anglican church. Today, Wales retains a unique identity. Since the 1990s, London has answered many of its demands for more autonomy. However, support for Welsh independence is relatively low: while 40% of the population wants more powers given to the Wales national assembly, just 6% want full independence. However, signs of Welsh nationalism still remain. 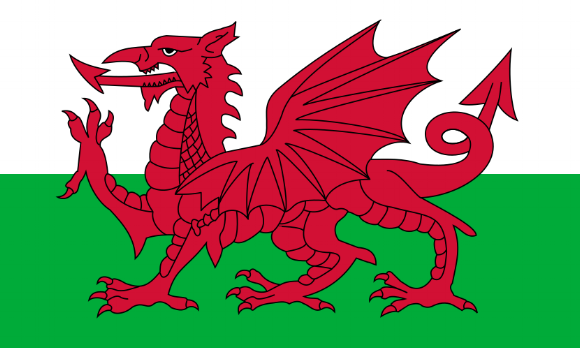 Among its most prominent symbols is the Welsh Language Society, known in Welsh as Cymdeithas yr Iaith Gymraeg. The society was founded in 1962 to prevent the Welsh language from dying out. Since then, it has earned a legal status for the Welsh language, with the creation of a Welsh language TV channel and radio station, requirements for various government services to be offered in Welsh, and the appointment of a Welsh language commissioner to promote the Welsh language. Anti-Welsh sentiment seems in many ways ingrained in British culture. Even as Wales enjoys increased autonomy and protections of its language, it is still often derided by the English. One British minister is reported to have remarked in 2014 that the future of Wales is “sheep and singing. Today, with Wales’ economy suffering from deindustrialization and its government heavily dependent on England for funding, an independent Wales is more difficult to envision. Even retaining a unique Welsh identity seems a challenge. Wales’ nationalism has always involved the political—with protests, a nationalist party, devolution of powers from Westminster—but along with the voices clamoring for increased autonomy or even independence has been a strong contingent demanding respect for Welsh culture. The centerpiece of Welsh nationalism is the Welsh language. However, even efforts to promote the Welsh language receive mixed reviews. Here Wales shows where it differs from Catalonia. Catalonia’s wealth and size is a sharp contrast from Wales, which is both poorer than neighboring England and relatively small. Catalonia boasts a thriving economy and regional identity—a majority of the region speaks Catalan, against just 19% in Wales. Catalonia, with nationalist fervor, can seek its own autonomy because it already enjoys enough power to do so. Wales, even within the wealthy United Kingdom, does not. So Catalonians may talk of being subjugated by a colonial power in their local Catalan, while most in Wales discuss the issue in English. Caleb Rak is a sophomore in Mather house pursuing a joint concentration in Comparative Literature and Linguistics. He is co-editor of the opinions board and his writing focuses on France.